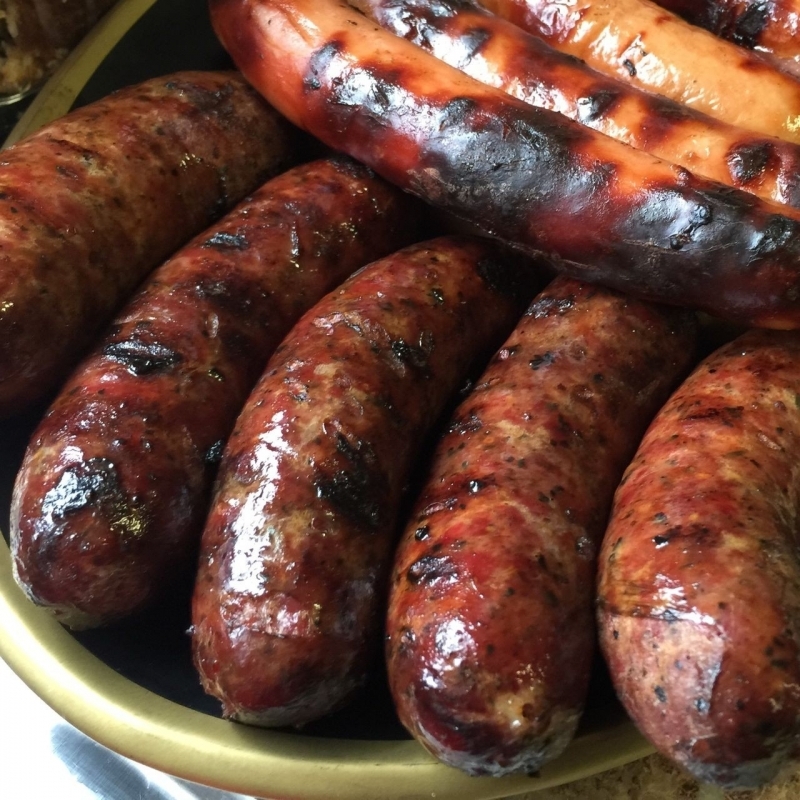 > Gourmet Duck Specialties>Smoked Duck Hot Links>Applewood Smoked Duck Hot Links - 1 lb. Duck meat ..and duck fat ...and spices, Oh My! 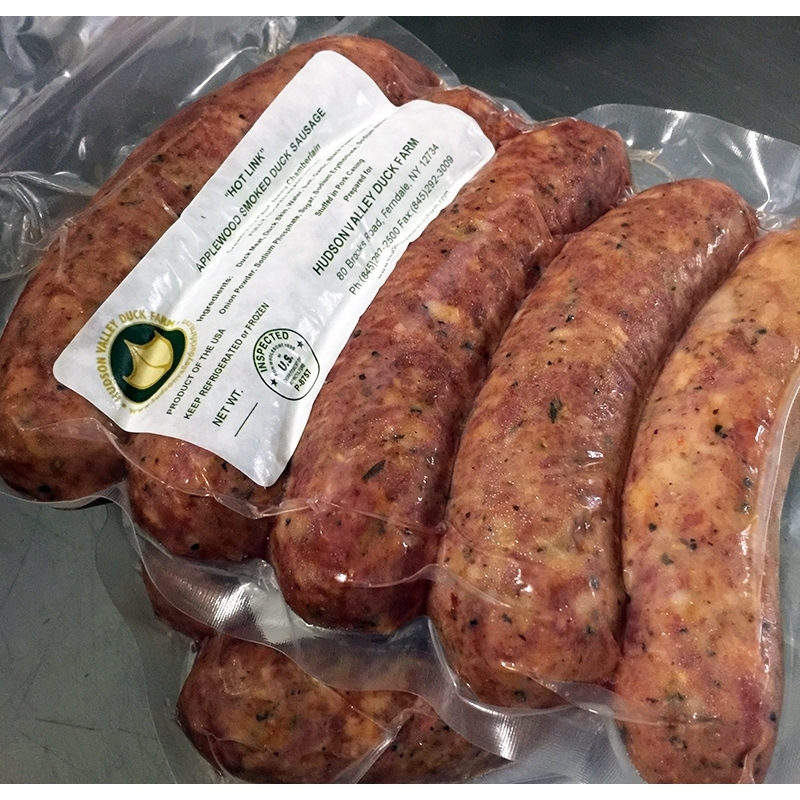 Perfect harmony of heat and flavor stuffed into natural pork casings. Cooking suggestions: Heat pan on stove over med-high heat, add sausages and crisp skin on each side or place on tray in oven at 375-400 to crisp and heat throughout. Vacumm packed. 4 to 5 links with a net weight of at least 1 lb.